At Cotswold Archaeology we have a dedicated team of surveyors and geospatial experts who are ready to undertake a range of recording and analysis projects to meet our clients’ needs. With extensive experience in data capture, spatial analysis and computer modelling we are perfectly placed to devise appropriate methodologies in order to ensure the successful completion of your project. Cotswold Archaeology’s fleet of Leica instruments produce highly accurate results. All of our captured data is subject to in-house quality assurance checking and by utilising market-leading geospatial software suites we are able to offer delivery in widely recognised data formats including AutoCAD and ArcGIS, alongside 2D and 3D PDF documents. 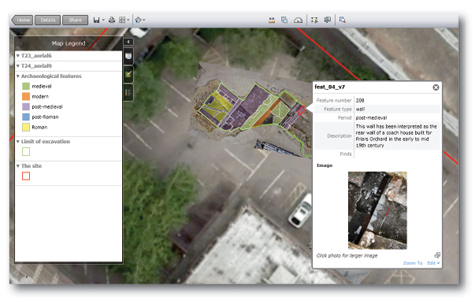 Extract the most value from your data by using our team of geospatial archaeologists to design and produce your rich interactive mapping. Efficient use of resources is vital and Cotswold Archaeology assesses each project to ensure that the most effective method is used from the very beginning. In many cases we are able to carry out landscape analysis using OS data, LiDAR and aerial photography to map archaeological sites before it becomes necessary to send survey teams into the field. 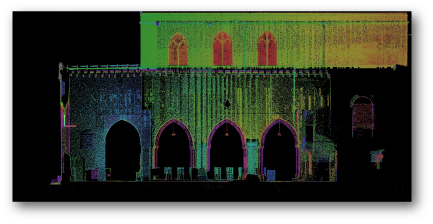 From laser scanning entire monuments to aerial drone survey, we will provide the ideal solution for your project. 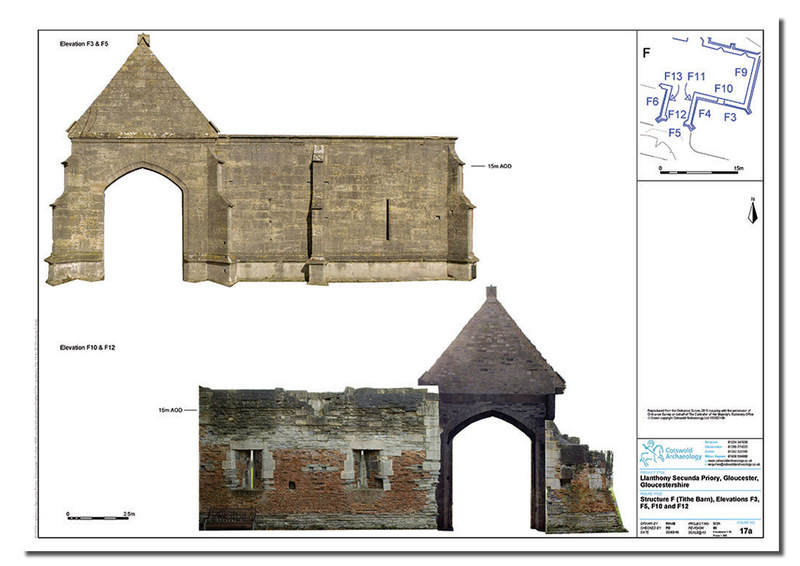 Metric Surveying undertaking topographic and building survey to Historic England metric survey standards. Laser Scanning sites and monuments, enabling the production of Digital Surface Models (DSMs), digital plan and elevation drawings, wireframe and solid models. GNSS and Total Station surveying using the latest Leica instruments to accurately map earthworks, excavated sites and monuments. Photographic survey and analysis using modern and historic aerial photographs to identify and record archaeological sites. Also rectified digital photography for the purposes of metric interrogation and structural analysis. LiDAR processing, analysis and interpretation: Creating Digital Surface Models (DSMs) and Digital Terrain Models (DTMs) from airborne and terrestrial LiDAR systems and derived products such as slope maps, contour plots, cross-sections and hillshade models. We can use these models to identify and record archaeological sites which helps us provide informed decisions to our clients prior to any potential development. Interactive Cartography: Producing high quality digital maps, deliverable as static or interactive files and for public dissemination as online web-maps using the full range of online mapping providers (eg Google Maps, Ordnance Survey’s OpenSpace, Bing Maps, ArcGIS online etc). We can create digital resources from hard-copy, particularly historical, resources and produce GIS-ready data for use in other projects. GIS spatial analysis: Detailed spatial analysis of archaeological resources, typically as part of the planning process or characterisation projects including Historic Landscape Characterisation. Asset management: Carrying out repeatable, consistent recording of the condition of sites, monuments, buildings and structures using standardised recording systems with mobile GIS/databases. 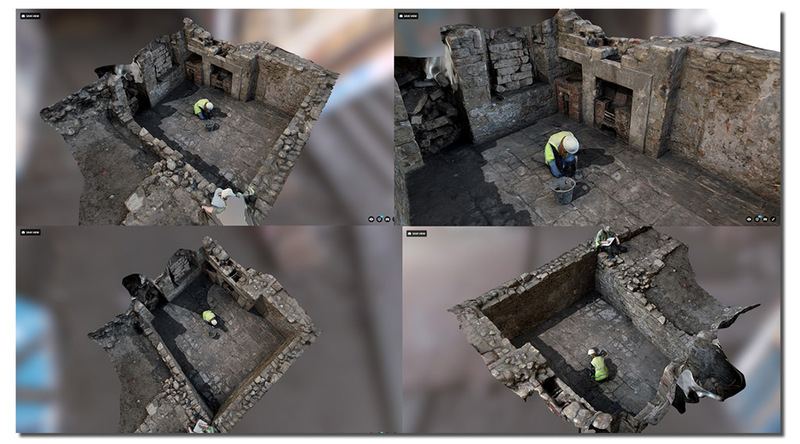 3D/Structure in motion photography: Utilising Agisoft Photoscan software to process overlapping images enables the creation of measurable 3D photographic models of archaeological sites and monuments to accuracy levels of between 0.03-0.01m. The product can be used to aid careful redesign of development foundations, or to illustrate the results of archaeological investigations for publicity purposes via social media feeds and websites.